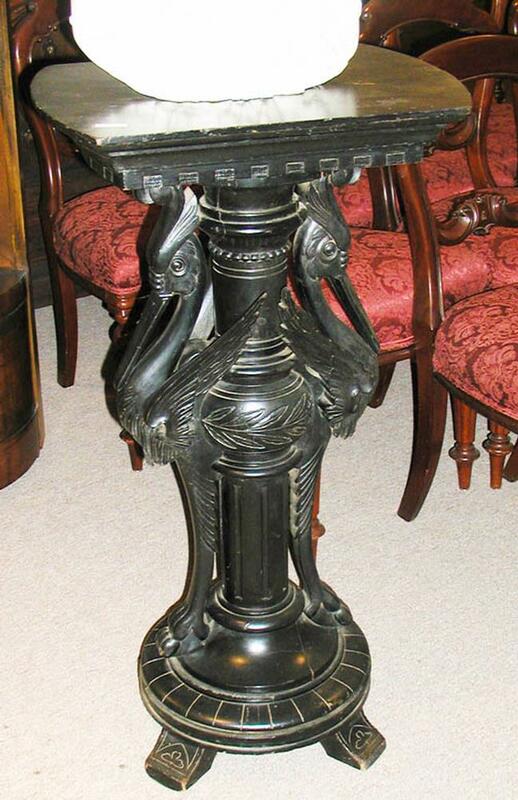 Ebonized Carved Victorian Pedestal, parlor -- Beautifully carved with what appear to be two herons, this is a lovely American Victorian pedestal, circa 1880, in very good original condition. It measures 37 1/2" tall x 20" wide x 15" deep. 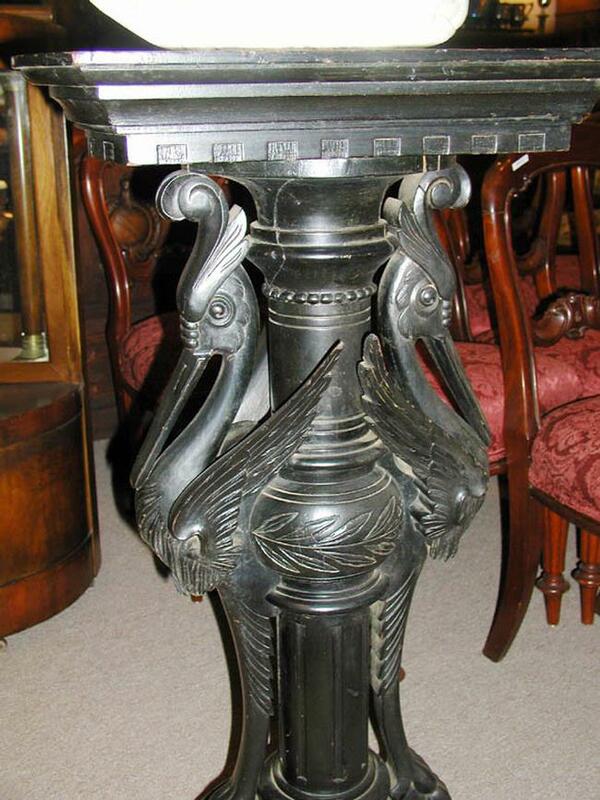 Beautifully carved with what appear to be two herons, this is a lovely American Victorian pedestal, circa 1880, in very good original condition. It measures 37 1/2" tall x 20" wide x 15" deep.